Enjoy RM10 discount with minimum booking of 24 hours. Use promo code 'UOAGOCAR' before checkout. Promo code is valid for FIVE (5) separate transactions. Booking and travelling period: 1 November 2018 - 31 October 2019. Required to download the GoCar Malaysia app on App Store or Google Play and register as a member. GoCar account will be verified within 12 to 24 hours upon application. 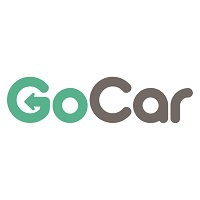 A confirmation email will be sent once the application of GoCar account is approved. Member must be at least 21 years old with a full driver's license to register as a GoCar member. There is a one-off RM10 membership fee for first time users. Applicable to all GoCar locations. The GoCar reservation cannot be cancelled, refunded and/or transferred after deal has been purchased. For more enquiries, please visit www.gocar.my or email us at hello@gocar.my.